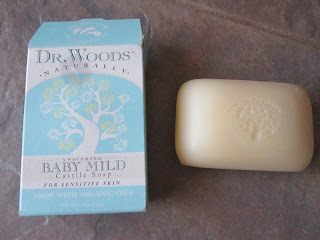 7 Kids and Us: Dr Woods Castile and Baby Mild Soaps Review and Giveaway! Dr Woods Castile and Baby Mild Soaps Review and Giveaway! 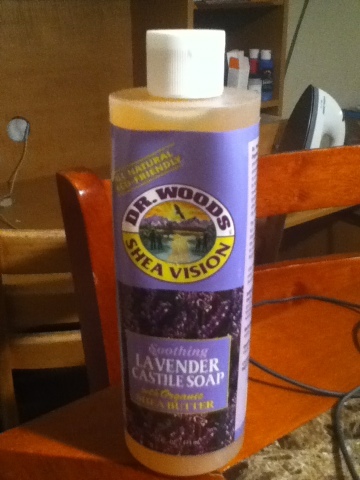 I was recently offered the chance to review Dr Woods Lavender Castile Soap and Baby Mild Bar Soap. because I LOVE lavender! It makes me feel so calm and relaxed, which is great when chasing kids all day! The scent of the lavender is so nice, I am using it as a hand soap and the scnet stays on my hands for a long time. Dr Woods castile soaps are very mild, moisturizing and versatile for everyday use as a body wash, facial cleanser, shampoo, and bath soak. Dr. Woods 100% Natural Lavender Castile Soap specially blends organic lavender and essential oils with Organic Shea Butter and Vitamin E to refresh and moisturize your skin. Organic oils extracted from lavender’s delicate, blue-violet flowers release a fragrant scent that frees you to relax and dream far ways from everyday worry. Five fragrances – Peppermint, Almond, Tea Tree, Lavender and Baby Mild. I would like to try the Tea Tree Oil Facial Cleanser and the Pure Almond Castile liquid soap. The almond castille with shea sounds wonderful.